"We take great pride in harnessing and leveraging water and power for empowering nations with innovative, cost-effective and eco-friendly solutions." In his different capacities within WAPCOS for the last 26 years; Shri Gupta spearheaded Strategic Planning, Marketing/Business Development, Brand Building, Human Resource Management, Financial Management and Projects Implementation. He urged an enabling environment to remain a step ahead of competitors by venturing into new markets, technology and diversified services and ensured that WAPCOS forays and forges ahead in the International sphere. Shri Gupta is also President, India Water Partnership; Chairman of Indian Section of Federation of Indian Chamber of Commerce and Industry India-Cambodia & India-Laos Business Forums; Chairman, Town Official Language Implementation Committee (TOLIC), Gurgaon; Chairman, India-ASEAN Business Promotion Council of ASSOCHAM; Co-Chairman, India-AFRICA Business Promotion Council of ASSOCHAM; Co-Chairman, Task Force of Africa Committee on Infrastructure & Power Sectors of Confederation of Indian Industry; Executive Vice-President- Indian Water Resources Society; Chairman- Indian Water Resources Society, Delhi Centre; Convener, Technical Coordination Committee Punatsangchhu- I & Punatsangchhu- II Hydro Electric projects, Bhutan; Member, Indo-Bhutan Empowered Joint Group for Development of 10,000 MW Power in Bhutan; Member, Executive Board, Standing Conference of Public Enterprises; Member, Confederation of Indian Industry-Delhi State Council; Member, Joint Steering Committee (Indian Side), Indo Nepal Electric Power Trade, Cross-Border Transmission Interconnection and Grid Connectivity; Member, Asian Regional Working Group, International Commission on Irrigation & Drainage; Member, Working Group on Irrigation and Drainage in the States under Socio-Economic Transformation, International Commission on Irrigation & Drainage; Member, CII ASEAN Committee to strengthen Indian Industry’s International engagement in ASEAN Region; Member, India-Indonesia CEOs’ Forum (Indian side); Board of Director, GPCL- a subsidiary of EXIM Bank. A gold medalist, civil engineering alumni of the prestigious Regional Engineering College, Kurukshetra; Shri Gupta completed his post-graduation in Engineering (Structures, Civil) from Punjab Engineering College, Chandigarh. He holds Masters in Business Administration with specialization in Human Resource Management. He has acquired specialized managerial and technical training in India and abroad. Shri Gupta is a Fellow Member of Institution of Engineers (India), Indian Water Resources Society, Corporate Member, International Commission on Irrigation and Drainage, Member Consulting Engineers Association of India and Life Member of Indian Society for Rock Mechanics and Tunneling Technology. He has exemplified WAPCOS at distinguished international and national forums. Recognizing his outstanding contribution, Hon’ble President of India presented him “SCOPE Award for Excellence and Outstanding Contribution to the Public Sector Management”-Individual Leadership instituted to recognize the contribution of Public Enterprises as well as to encourage outstanding persons for their hard work & leadership qualities and “Institutional Category”; “SCOPE Meritorious Award-Corporate Governance” instituted by Standing Conference of Public Enterprises (apex body for Central Government owned public enterprises). Hon’ble Prime Minister conferred “MoU Excellence Award”, instituted by Department of Public Enterprises, Government of India for excellence in performance and SCOPE Award for Excellence and Outstanding Contribution to the Public Sector Management-Smaller Public Enterprises”. 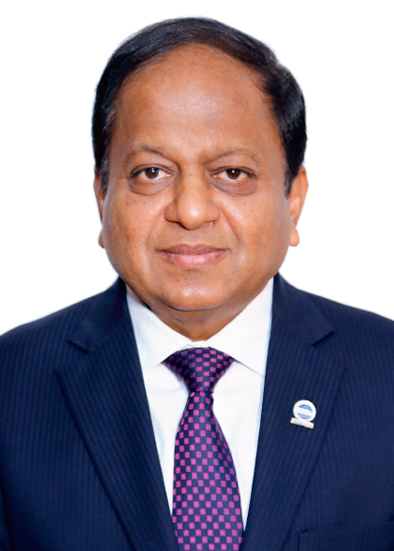 Shri Gupta has been bestowed with CBIP Special Recognition Award -Exceptional Leadership in Consultancy Management; Eminent Engineer Award by Institution of Engineers (India); World Water Leadership Congress Awards – Award for Outstanding contribution to water, CEO of the Year endorsed by Asian Confederation of Businesses and “CEO with HR Orientation” Award, founded by Institute of Public Enterprises, Legend CMD of the year for Leadership in Water Management and Asia Pacific HRM Congress to recognize and honour the excellent initiatives taken by CEOs in HR. WAPCOS received “Best Consultancy Organization Award”, instituted by Central Board of Irrigation and Power; India Today Award for Best Performing PSU-Mini Ratna; PSE Excellence Awards for Company of the Year, Corporate Governance, Corporate Social Responsibility & Sustainability and Best Human Resource Management, instituted by Department of Public Enterprises, Government of India and Indian Chamber of Commerce; “National Award for Excellence in Cost Management” conferred by The Institute of Cost and Works Accountants of India; CSR Leadership Awards - Best Corporate Social Responsibility Practices presented by ABP News; World Water Leadership Congress Awards - Most Promising Brand endorsed by Asian Confederation of Businesses; National Awards for Export Excellence and India Northern Region Award, instituted by Engineering Export Promotion Council, Ministry of Commerce & Industry, Government of India for Outstanding Export Performance won by WAPCOS. The Company also received “Water Awards” under the categories of “Best Consultancy Company”, “Best Indian Water Company to Work” and “Made in India – Best Water Company (Public Sector)”. The Award is supported by UNESCO and ASSOCHAM. WAPCOS is bound to achieve great heights under the dynamic leadership of Shri R. K. Gupta.